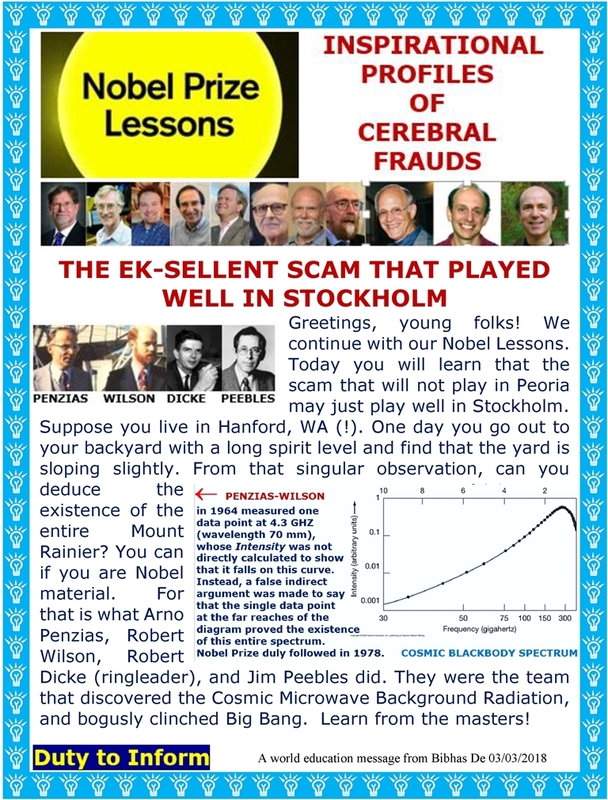 This entry was posted on March 3, 2018 at 12:09 pm and is filed under NASA's COBE Satellite fraud, Physicists play citizens pay, The Brotherhood of the Nobel, Uncategorized. You can follow any responses to this entry through the RSS 2.0 feed. You can leave a response, or trackback from your own site. Yes, these creepy psyence dorks are an abomination to true Science. The backwards slave psyence they are part of is psyops designed to enslave mankind to backwards, fuel sucking, slave technologies, which bring astronomical wealth and control to the energy barons, war mongers and central banking parasites. Implosion based technologies are the path to freedom for all of humanity. Viktor Schauberger has shown the path back to Nature based Technologies which will bring mankind unlimited abundance, happiness, health and prosperity as well as a clean and sparkling beautiful planet to live long productive lives upon. Time to drain the quackademic swamp, of all these ugly psyence goons and turn it into a place of real science and learning, instead of backwards mind control centers. Thank you BIbhas De, Your efforts are Heroic!